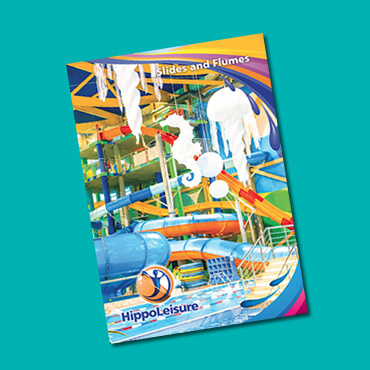 Hippo Leisure offer a fantastic range of flume slides including racer slides, family slides, extreme slides, inner tube slides, speed slides and body slides. 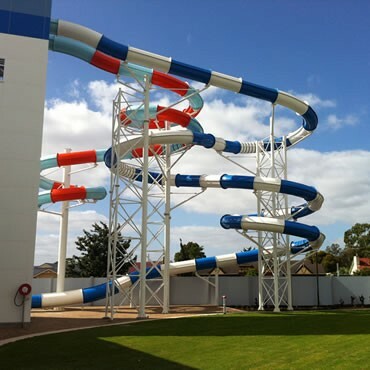 Hippo can provide slide design, manufacture and installation. 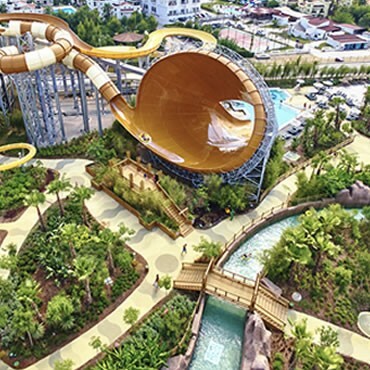 Extreme slides can contain multiple slide routes, vertical drops, classical ride paths, uphill ride routes and centrifugal ride routes. 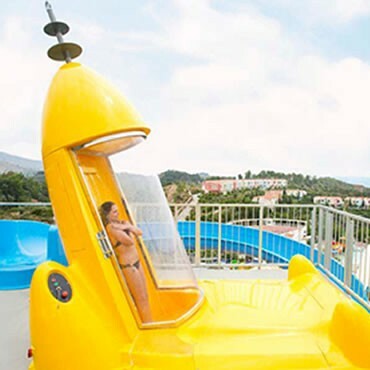 Living the joy of a riding experience together as a family is now possible with our range of Family Slides. 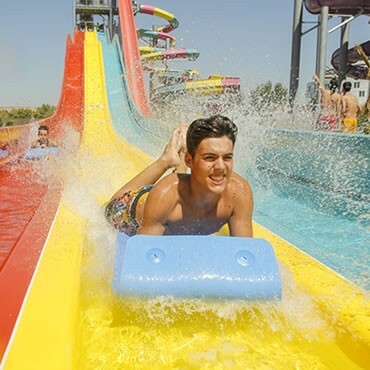 The Racer series consists of a range of high speed, high capacity, racing and multi lane rides. 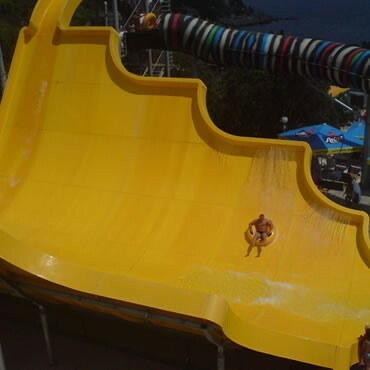 Speed slides tend to be straight forward vertical drops from start to finish. Riders experience the highest ride speed from the tallest start towers. 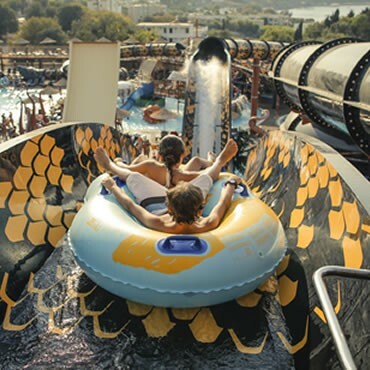 Hippo can supply and install new Flume Slides as well as offer maintenance and repair services to existing slides. 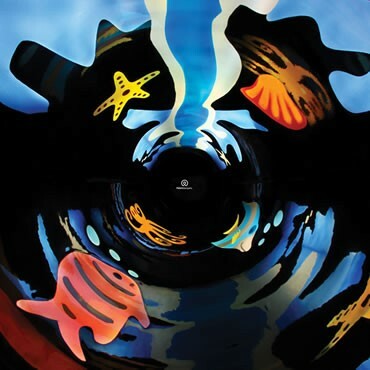 We're a full service, swimming pool and interactive water play company, with over 20 years of experience in putting smiles on childrens faces.